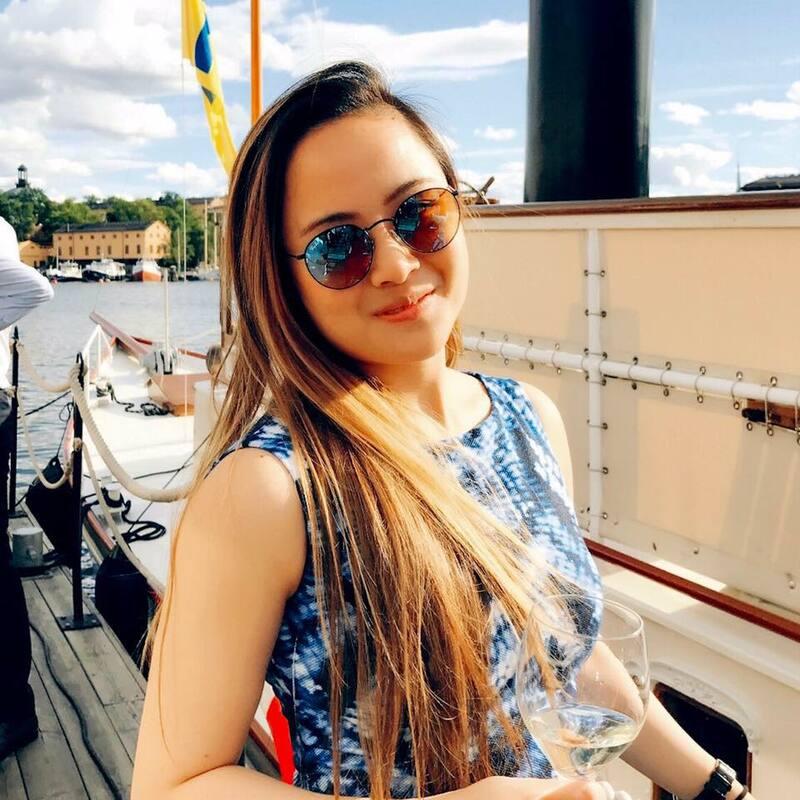 Over the last month, I have been sharing useful information on how to go from renting to owning an apartment in Stockholm as a Newbie. On this last part, I will let you know how to make the offer and be the owner of your first place. You can find Part 1 here, Part 2 here and Part 3 here. 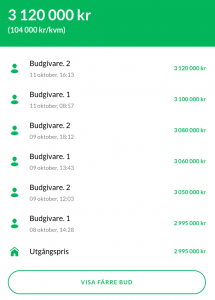 The bidding war in Sweden: Be a Secret Winner, stop bidding! Don’t waste time visiting popular apartments: Visit the apartments that are slightly further from the center of your desired area. Stockholm city center is a small place, you only need to choose a location that is close to the metro to leverage your risk. Avoid a bidding war that you can hardly win! Don’t bid, schedule a private viewing before 2nd listing: Apartments that don’t get bids in their first viewing don’t necessarily mean bad or broken! All viewings only open for 30-min at the same time in the same area, so most people pick to visit those that are best in the areas. A secret trick is to subscribe to all listings you like through SMS. After your first viewing, the agent will ask you if you’d like to put the first bid. Don’t do it. Wait for one week. If there’s still not a single bid, schedule a private viewing with the agent and give an offer before the 2nd listing! Being the only buyer on the table will give you a high bargaining power! Time is money: Call the agent (contact on the listing page) to understand the motives of the seller. Learn if the seller needs money in urgency (either to buy another apartment or for other purposes). The more urgent, the better your position is if you can already sign the contract on the day you see the ad. Do ‘Stop loss’: The bidding process is not strictly regulated. 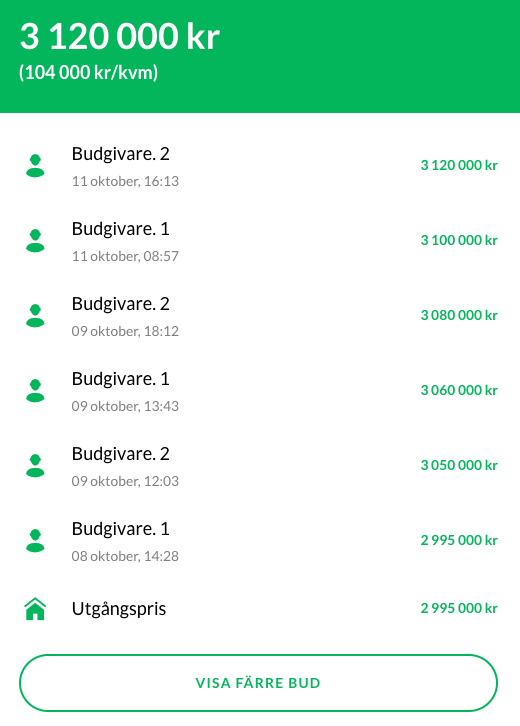 Ghost bidders exist in Sweden. Some agents do not confirm the eligibility of the bidders via the bidding certificate or some of the bidders are fake just to boost up the final purchase price. You should stop bidding when the price gets over the average price/sqm referenced from Booli. Forget the pain, there are still plenty of new apartments coming out in the market! ‘Don’t put all eggs into one basket’: Make offers to 2-3 potential sellers instead of one. You can always turn down other offers as long as you haven’t signed a contract. How do you convince your seller to accept your minimum offer? The trick is to find out the previous price of the apartment bought by the seller on Booli. Do this by searching for the same address, floor and size. You will be surprised that you can actually find how much the seller bought the apartment a few years ago, even though he might not want you to know! By knowing this info, you can offer a reasonably lower price than what the seller bought if the price is still overvalued at present. When you find a couple of properties you can potentially buy, you are ready to take on a mortgage. Note that this will take 1-2 weeks time longer for a foreigner to go through, so just do this in parallel when you have some concrete ideas of which to buy. Find a bank who can offer you the lowest loan interest rate. Avoid this mistake: you should NOT rush into calling all banks in Sweden about what interest rate they can offer you/ submitting loan application just yet, as this can negatively impact your credit record even if you are just asking. Calling more than 3 banks can lower your credibility. When you accept a rate offer from one bank, you will have about 3 months (depending on the bank) to bid with the bidding certificate. What is a bidding certificate? It is just a legitimation that you are qualified by the bank to buy apartments in Sweden. You must already obtain it prior to the bidding process or making a deal with the agent/seller. Rule of thumb: Submit your loan application to max 3 banks and accept one. Tip: If you are a foreigner looking for small apartments, you should approach smaller but established banks. Big banks will unlikely offer you a good rate because they focus on high-end clients or corporate loans. Check your rate on different mortgage calculators e.g. Skandia/ SBAB/your bank. Check samples of rate difference in the table provided in Part 2. Call the bank and ask thoroughly what ways there are to obtain the lowest rates: e.g. transferring your monthly salary to this bank account, monthly savings deposit, having insurance and pension in the same bank, a bigger downpayment etc. A deal has been reached with the seller. What’s next? Congratulations! From now on, the property agent in charge of this listing will let you know the time to sign the contract. This person will guide you on to the next step. The process is simple and straightforward. If you don’t speak or read native Swedish, bring someone who can! The contract is in Swedish. Your Swedish friend may be able to spot something wrong immediately when you are still wondering what the word is in English. Politely ask the agent to translate the contract to make sure that you understand all terms. Download my beloved Microsoft Translator app on your iPhone or Android. You can take a picture of your contract and read the translation right away! The information on this Blog is distributed for informational and entertainment purposes ONLY. Forecasts, estimates and certain information contained herein should not be considered as investment advice or a recommendation of any particular security, strategy or investment product. Past performance is not indicative of future results. The Author in no way guarantees any specific outcome or profit. Investments can lose money over short or even long periods of time. You should consult your financial advisor before making an investment decision.